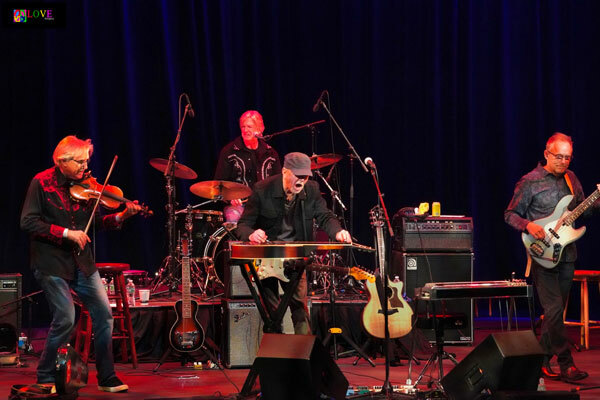 Music fans are filing into the beautiful South Orange Performing Arts Center auditorium on this gorgeous Saturday, October 13, 2018 evening for a performance by a group that helped to define the genre of country rock — Poco! 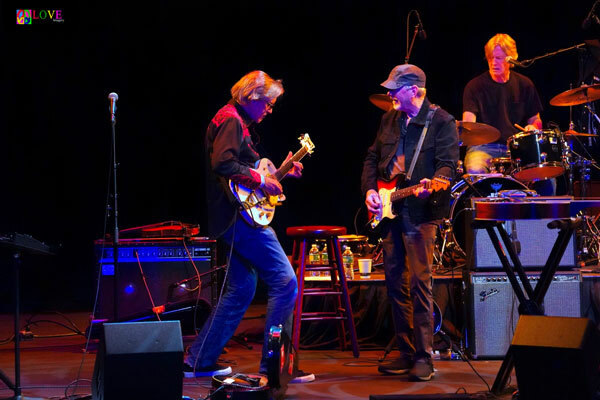 Poco originated when the 60’s rock group, Buffalo Springfield (“For What It’s Worth”) was recording its final album, and group members Stephen Stills, Neil Young, and Richie Furay started to record their own material without other band members present. 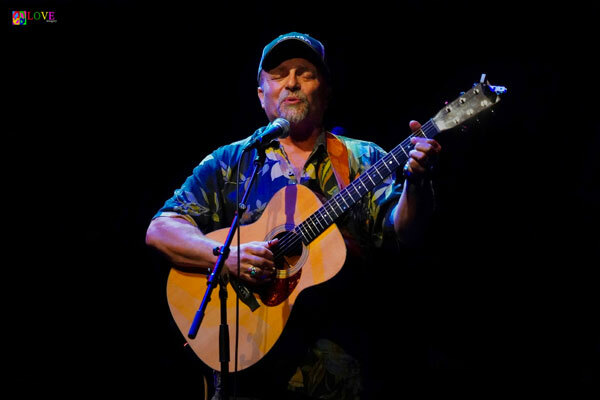 One of Furay’s projects at the time was his classic ballad, “Kind Woman,” which he recorded with the help of producer/engineer/bassist Jim Messina and pedal steel guitar player Rusty Young. 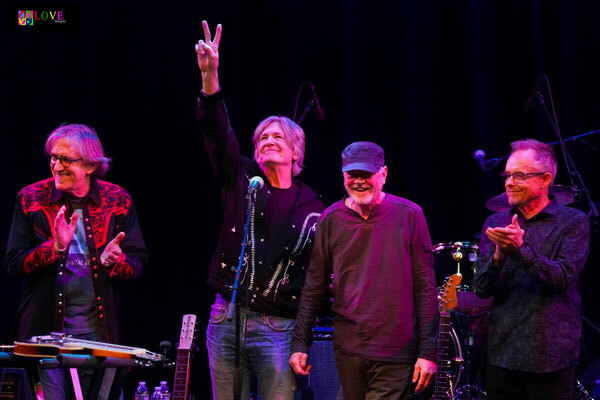 When Buffalo Springfield split up, Young, Messina, and Furay started their own band with the idea of continuing to explore a new musical genre they were in the process of developing — country rock. After completing their line-up with drummer George Grantham and bassist Randy Meisner, they called the group, Pogo, after the comic strip character, but soon changed the name to Poco. Poco’s first LP, 1969’s Pickin’ Up the Pieces, is considered one of the pioneering albums in country rock. In 1970, the band reached the Billboard Top 40 with their third effort, a live recording entitled DeLIVErin’. 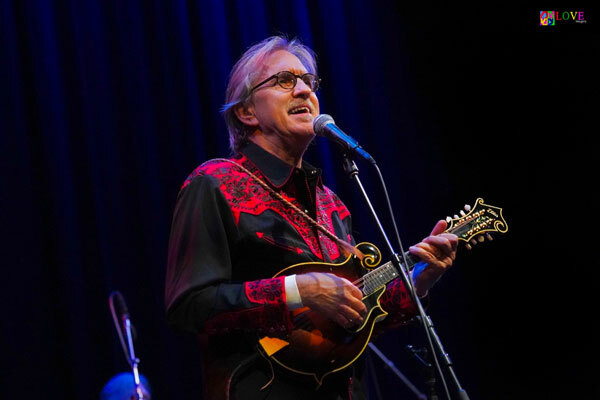 Over the years, Jim Messina left Poco to join Loggins and Messina, and Richie Furay moved on to join The Souther-Hillman-Furay Band. Randy Meisner joined The Eagles and was replaced for a time by Timothy B. Schmidt — who later, ironically, left Poco to replace Meisner in the Eagles. Original member George Grantham also left the group and ended up playing drums for various artists including Ricky Skaggs. 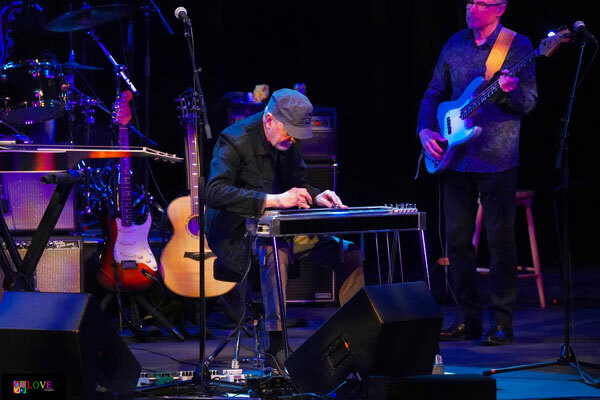 Rusty Young, however — a multi-talented musician known for his expertise on pedal steel guitar, lap steel guitar, dobro, and more — continued on with Poco. 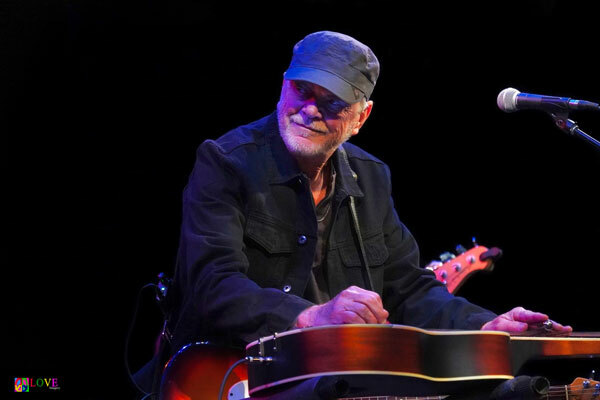 In 1978, Young — along with Jim Messina’s replacement, Paul Cotton — created Legend, an album which became Poco’s most commercially successful recording and contained a song that Rusty Young wrote and sang lead vocal on — “Crazy Love.” The album was certified gold. In 1989, all five original members of Poco reunited for Legacy, another recording which attained gold record status. 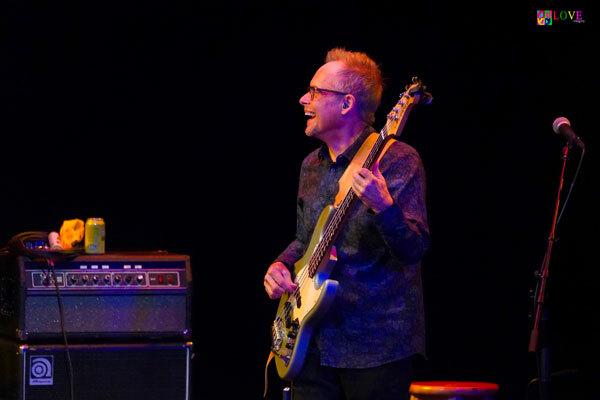 Throughout the 2000s, the group — with various musicians — continued to record and travel the world playing live concerts, some of which featured one or more of the founding members. 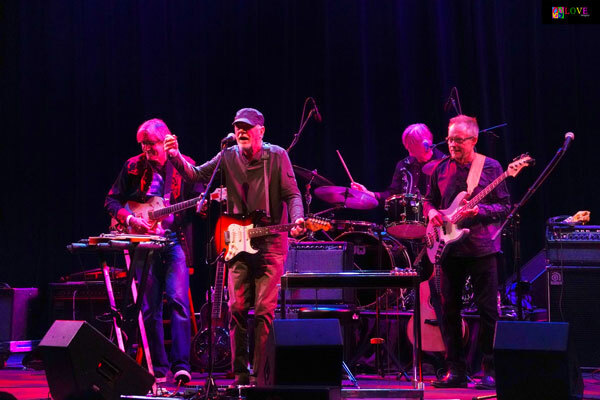 Poco’s latest recording is their 2013 effort, All Fired Up, and last year in 2017, Rusty Young released his very first solo album, Waitin’ for the Sun. 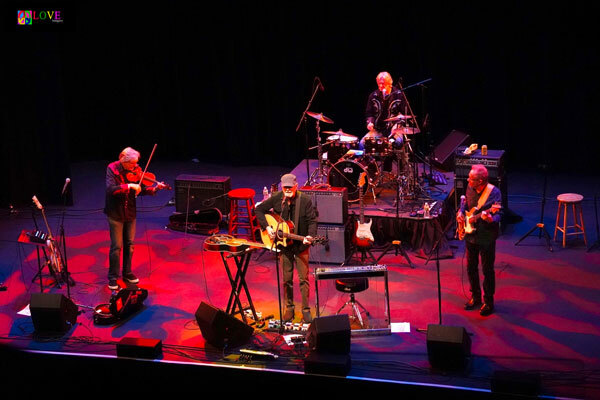 These days, Young, 72, tours with Poco and its current line-up which includes Lex Browning on fiddle, mandolin, and guitar, Rick Lonow on drums, and Jack Sundrud on bass. 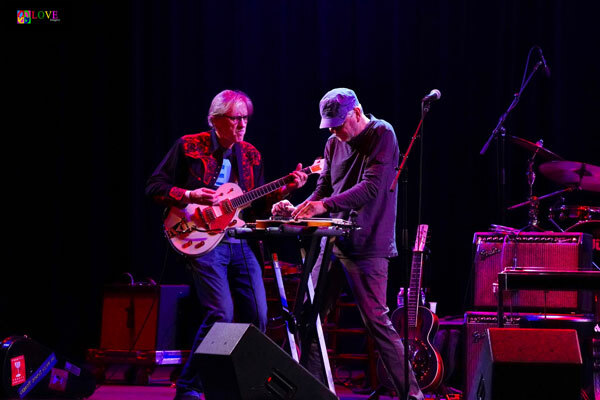 As the sole remaining founder of Poco, Rusty is the only group member to have played at every live concert and on every Poco recording since 1968! Before the show, we chat with several audience members who tell us about their love for Poco. Like Les, Nanci and Jack from Rahway also started out as Buffalo Springfield fans. “We love the genre of country rock!” explains Nanci. The lights dim and tonight’s’ opening act — blues singer and guitarist Toby Walker — takes the stage. Highlights of Walker’s set include an instrumental piece, “Embryonic Journey,” a number which Walker calls, “one of the first songs that got me interested in picking on the guitar.” Playing bass, rhythm, and lead all by himself on a single acoustic instrument, Walker keeps this tuneful composition bouncing up, down, and around, bringing the entire audience along with him for a joyful ride! The audience rewards Walker with a standing ovation for his instrumental guitar rendition of John Philip Sousa’s famous march, “The Stars and Stripes Forever.” Simultaneously playing bass, rhythm, and lead on his instrument, Walker even manages to recreate the famous piccolo descant on this innovative and impressive performance which gets audience members clapping and snapping along. The audience stands in appreciation of his talent! Following a short intermission, the musicians of Poco — Lex Browning, Rusty Young, Rick Lonow, and Jack Sundrud — take the stage to large applause. Singing in four-part harmony, “All fired up/Me and the boys/We’re gonna make a little noise,” the crowd claps along to the song’s infectious rhythm before Lex Browning takes a freewheeling mandolin solo. 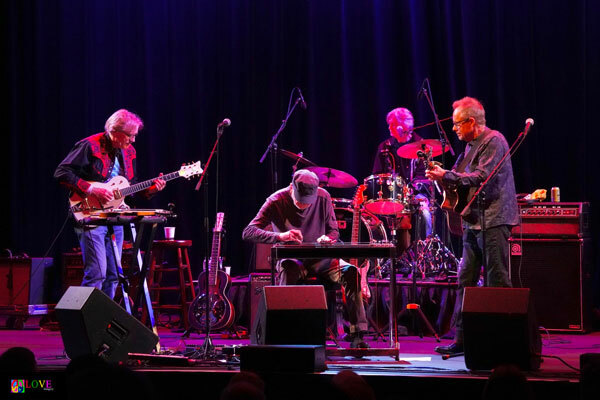 Performing a pair of classic Richie Furay compositions, Young picks on the pedal steel guitar and Browning serenades on the mandolin on “Pickin’ Up the Pieces” before the group segues into “A Child’s Claim to Fame.” As the group croons, “Well there goes another day/Now I wonder why/You and I/Keep telling lies,” Young dazzles on the pedal steel guitar. 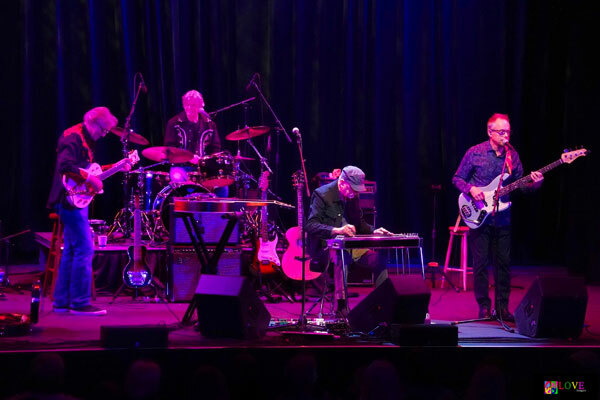 The audience reacts with avid applause and the band responds with the instrumental composition, “Grand Junction.” Opening with Young’s steel guitar intro, the band country rocks its way into the audience’s hearts on this upbeat bluegrass number set to a rock beat. After welcoming the crowd and introducing the members of the band, Young introduces a song which he jokes, “was a big hit back in the day, not that long ago — 30 years!” Here, the group performs Poco’s 1989 Top 40 hit, “Call it Love,” a pop confection which features a tremolo guitar solo by Lex Browning, and an electric guitar solo by Rusty Young. The crowd responds with a standing ovation and audience members call out song titles — notably, “Rose of Cimarron”— from their seats. 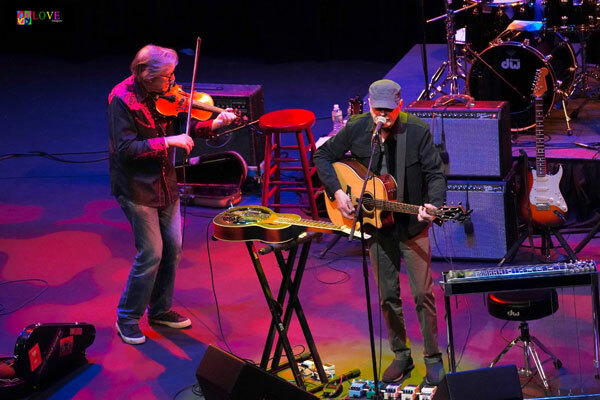 Acoustic guitar, bass, drums, and fiddle fill the house as Young sings, “Here we are after all these years/Still the same as we were back when/Oh so long ago, my friend,” on this breezy country rocker. Drums pound out the beat behind the violin and guitar on the rockin’ “Hey There,” before the audience applauds at the opening strains of Poco’s 1979 Top 20 hit, “Heart of the Night.” Young’s pedal steel sings on this gentle country rocker which fills the hearts of listeners with memories of an earlier day and time. 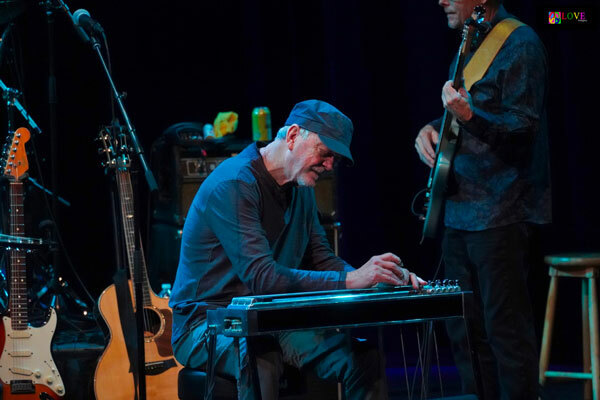 Ending with his steel guitar sliding up, the crowd cheers and applauds! While the band takes a short intermission, we chat with several audience members about their thoughts on the show thus far. Singing, “A little rain won’t bother me/The rain don’t bother me,” Young slides up and down on the dobro and even has the audience join him in singing on the song’s catchy “Rain, rain, rain/Let it rain” coda. 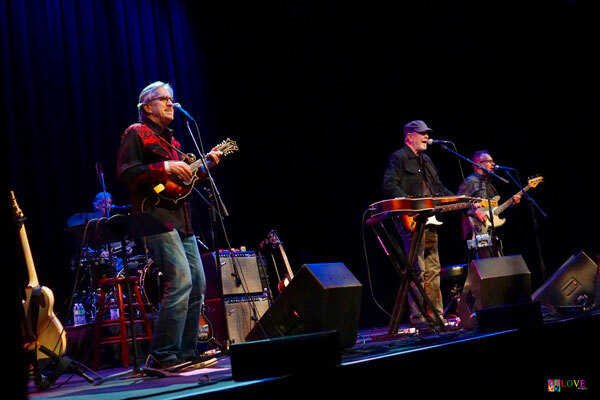 When the rest of the band takes the stage, Young asks, “What’s next, boys?” before the quartet launches into the song which served as the impetus for the formation of Poco, “Kind Woman.” With its unusual meter and heartfelt lyrics, Poco puts its stamp on this classic Richie Furay composition. Revealing, “This song went to #1 in 1970, and I just found out that it’s had over a million and a half streams on Spotify,” Young performs Poco’s biggest hit — “Crazy Love.” The audience swoons on the famous, “It happens all the time/This crazy love of mine” chorus as the group sings in tight four-part harmony and the crowd reacts with avid cheers and applause. 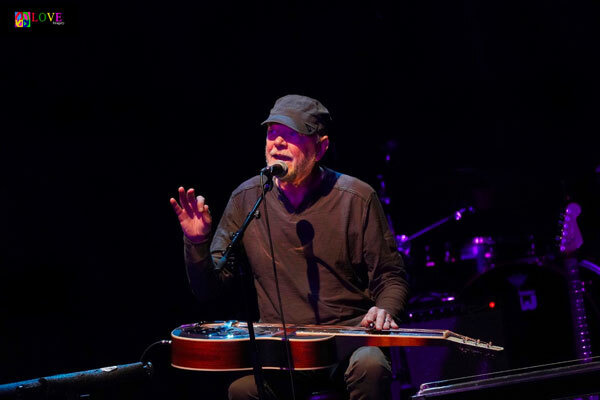 Here, Young performs an audience favorite — the humorous “Neil Young” — in which he sings, “Neil Young is not my brother/Bad news for my mother,” as he imitates Young both with his guitar and harmonica playing, in addition to his spot-on vocal inflection. 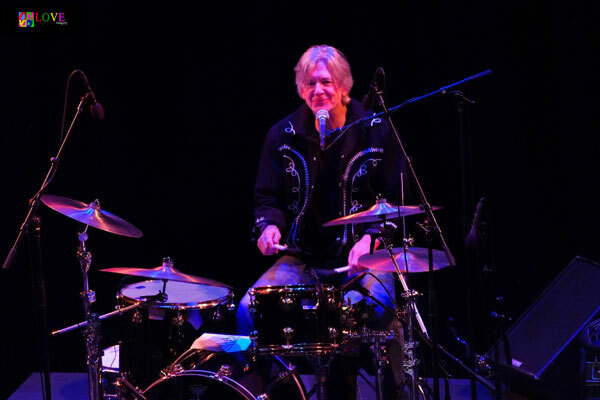 Launching into the group’s country rock classic, “Rose of Cimarron,” the Poco musicians clearly enjoy singing and playing with one another, having fun as drummer Rick Lonow solidly keeps the beat. 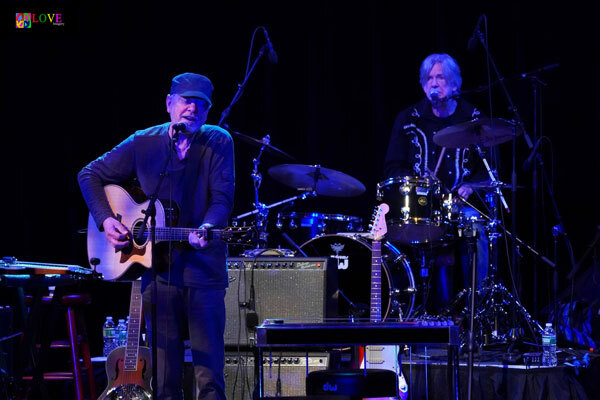 Announcing, “Here’s a song which Emmy Lou Harris ends her show with,” Young plays his steel pedal guitar with a tremolo effect on “Magnolia,” adding a mournful, reflective, and pensive mood to this country ballad. Referring to the difficulties of farming life, Sundrud laments, “Hard country/And this year they say that it looks like a drought/But I can’t leave/My roots go deep in this hard country.” Although the group starts out playing the song with acoustic instruments, as the song progresses, mandolin switches to electric guitar, acoustic guitar shifts to electric bass, playing drums by hand changes to playing them with sticks, and pedal steel changes to lap steel. The audience rewards the band with a standing ovation for this heartfelt performance! 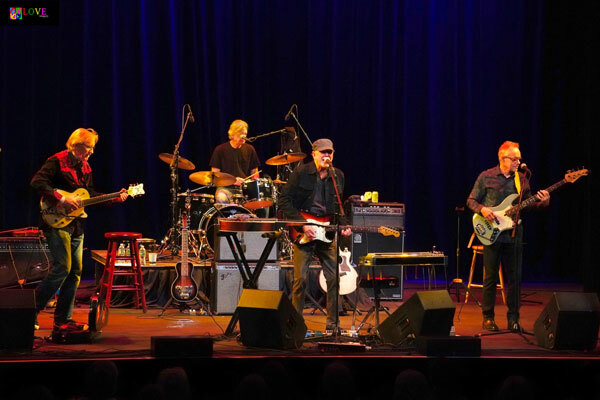 Poco concludes tonight’s show with a performance of Richie Furay’s “Good Feelin’ to Know,” where audience members stand and dance at their seats for this feel-good rocker which inspires cheers and a standing ovation for these four talented musicians! Returning for a single encore number which Young calls, “one of our favorite Timothy B. Schmidt songs,” the group performs a lovely four-part harmony rendition of “Keep On Tryin,’” accompanied by acoustic guitar. Concluding with the lyric, “I’ve got to find a way to get on home to you,” the audience reacts with heartfelt cheers and applause. We also talk with several audience members who share their thoughts with us about tonight’s performance. To find out more about Poco, please go to pocoband.com. 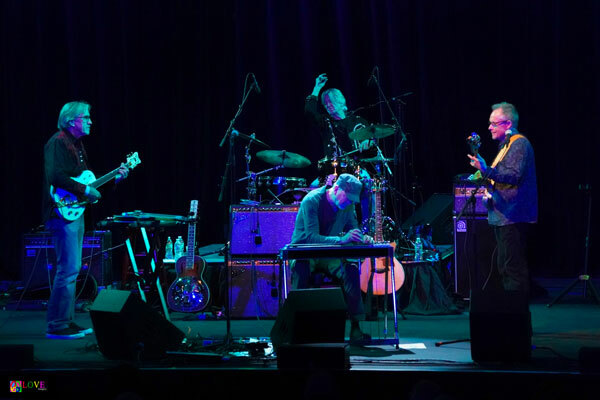 For information about upcoming concerts at SOPAC in South Orange, NJ — including Peter Yarrow and Noel Paul Stookey on November 3, All in a Family with Loudon Wainwright III, Suzzy Roche, and Lucy Wainwright on November 30, and John Oates with The Good Road Band on January 4, 2019 — please click on sopacnow.org.